Tomb Raider and PlayStation are synonymous. Though Lara Croft has appeared on everything from the Xbox to the N-Gage over the past 20 years, it was Sony’s partnership with Eidos that shot Lara Croft to stardom seemingly overnight. Every major Tomb Raider title by Core Design appeared on Sony hardware. 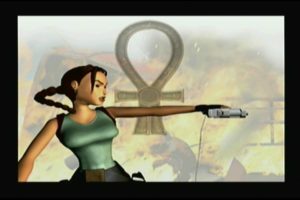 Curiously, SEGA’s connection to Tomb Raider is often neglected when discussing the franchise’s history. In fact, had SEGA capitalized on Tomb Raider when they had the chance, the 32-bit era may have had a drastically different outcome. Only three Tomb Raider titles were released on SEGA hardware. Each proved technically impressive, sometimes trumping their PlayStation (and even PC) counterparts. Lara’s relationship with SEGA was fiery and flirtatious, but short lived. Though it would have been nice to see more of Lara’s adventures on SEGA consoles, the Tomb Raider titles we did receive stand as important additions to the adventure genres on both the Saturn and Dreamcast. Core Design was a British development house founded in 1988, operating out of Derby UK (“Core Design”). Between 1989 and 1995, Core Design pumped out an almost ludicrous number of titles across numerous systems. SEGA and Core’s relationship began with Core porting Action Fighter and Dynamite Dux to Amiga and Atari consoles (“Core Design”). Soon, they moved into developing original software for SEGA’s major home consoles. Their games weren’t always hits. They were, however, always innovative. 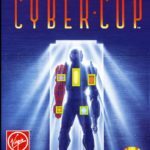 Core was seemingly eager to develop for new platforms, tailoring each game to the limits and possibilities of the hardware. Here are a few highlights from their early years working with SEGA. Cyber-Cop was one of the first in its genre, and one of the only first-person shooters to be released on the Genesis. It hasn’t aged very well, but it was ground-breaking for its time. A standout shooter in the vein of Galaxy Force, Soul Star showcased the technical prowess of the Sega CD. A spinoff of Core’s Chuck Rock series, B.C. 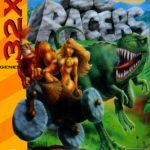 Racers gave Mario Kart a run for its money. 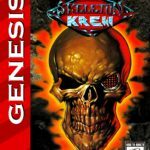 Skeleton Krew was an isometric, arcade, co-op, shooter. It stands as one of the best games the studio ever produced, and was the final Genesis title Core released in North America. 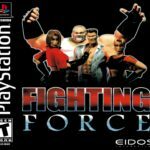 Rumor has it SEGA was keen on making Core’s arcade brawler the fourth entry in its Streets of Rage franchise. Unfortunately, the deal never came to fruition. There was a Saturn release planned, but it was cancelled before release. In the mid-90s, Core Design began preliminary work on a fully 3D, globe-trotting, action-adventure game. It wasn’t a shooter, nor was it a platformer. The emphasis was on exploration and movement, with stylized combat tying the package together. Most intriguing was that the star of the game was a woman. Her name was Lara Croft, and the game was Tomb Raider. Croft’s boldness, wit and design instantly resonated with audiences. Tomb Raider became one of the year’s most anticipated, and ultimately successful, games when it released on Oct. 25, 1996. Tomb Raider was shown to SEGA, and SEGA liked what they saw. Securing a timed-exclusivity deal with Eidos (remember when those didn’t cause riots? ), Tomb Raider was slated to launch on the Saturn a full month ahead of the PlayStation and PC versions (“Loving Lara” 26). Unfortunately, due to weak marketing by SEGA, this timed deal didn’t lead to much of a boost for either company. It was only after Tomb Raider launched on the Sony PlayStation and PC that Lara’s fairy tale rise to fame began. Vastly surpassing Core’s projected sales, Tomb Raider became an instant hit, and the definitive standard for 3D gaming. Tomb Raider chronicled the adventures of treasure hunter Lara Croft. Raised with the comforts of wealth and security, Lara grew up to be the antithesis of your typical aristocrat. Travelling the world, preforming her own style of rouge archaeology/trophy hunting, Tomb Raider began with Lara receiving a contract from a woman named Jaqueline Natla. Hesitant but curious, Lara set out to find a lost relic known as the Scion. The narrative in Tomb Raider was thin, failing to leave much of an impact. Rather, it was Lara’s quirky personality that ended up stealing the show. She was a powerful, composed, action heroin whose brains matched her bronze. Her abilities were numerous, yet could be all applied to a standard 6-button controller. Acrobat, athlete, weapons expert and academic, Lara Croft was the kind of avatar gamers wanted. Tomb Raider’s environments were grid based, built with Lara’s capabilities in mind. Exploration was key, and you could think your way to just about any point on the map should a ledge or landing exist there. Tomb Raider, though advertised as an action game, truly shined because of its level and puzzle design. Combat revolved around mobility and weapon selection for different foes. Item collection, navigation, and exploration were the meat of the game. One could spend hours running about a level, searching for hidden pathways or secret stashes of treasure. It had a sort of Metroid feel to it, yet wrote its own rules when it came to platforming and traversal. Tomb Raider sold itself on visual prowess and action. But it was smart composition and level design that made the game a success. Each version of the game was programmed separately, ensuring Tomb Raider ran optimally on each platform (“Alphas” 72). Though Tomb Raider pushed some impressive Voodoo powered visuals on PC, both home console ports showcased just how capable Core’s engine was. Tomb Raider on the Saturn was a marvel of 3D architecture, though it was inferior to its Sony counterpart in several ways. The frame rate on the Saturn was marginally lower (“Alphas” 76). The Saturn also rendered structures as quads as opposed to triangles. For many 3D games, this meant a slightly messier build. In this case, however, Lara’s character model looked better on the Saturn. Other effects, such as water, also rendered better on SEGA’s console. However, the Saturn port of Tomb Raider was undeniably darker and more pixelated than it was on the PlayStation. A few unfortunate bugs were shipped along with Saturn version’s early launch (“Loving Lara” 26). An inaccessible secret, as well as Lara being unable to perform her signature handstand, somewhat tainted the Saturn version’s early arrival. Tomb Raider was one of the first 3D games to define what a 3D game was. In a time where companies were struggling to update their 16-bit hits to 32-bit hardware, Tomb Raider demonstrated sound, workable mechanics for platforming, combat, and puzzle solving in a three-dimensional space. It catered to player freedom, allowing gamers to truly project their will through the vessel on screen. Despite a few bugs, Tomb Raider on the Saturn was and always will be a landmark next-generation title. It pushed the hardware to the limit and had functional, fun, gameplay to back it up. Had SEGA put a little more enthusiasm into marketing Tomb Raider for the Saturn, or even secured it as a full exclusive, one could speculate endlessly as to how the 32-bit console war may have veered in a different direction. Tomb Raider ended up being a smash hit for the PlayStation. 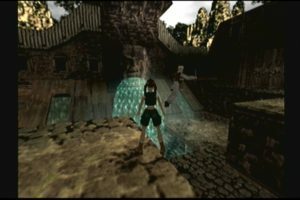 Along with the likes of Quake, Tomb Raider also encouraged a fair number of PC gamers to upgrade their graphics cards. But it was Sony’s immediate capitalization on 3D gaming’s newest star that solidified the Tomb Raider brand. Sony not only framed the PlayStation as the 3D gaming console, but they played a huge part in popularizing Lara Croft. Eidos and Sony agreed to a console exclusivity deal for the next several years. Though she would eventually return to SEGA hardware, SEGA fans had to wait four years and a whole new console generation before embarking on a new adventure with Lara. In 1999, Sony’s deal with Eidos ended. Core was quick take advantage of this window. SEGA’s new console, the Dreamcast, had just launched. Core announced Tomb Raider IV: The Last Revelation would be coming to the Dreamcast in 2000. The announcement was sudden and caught many by surprise (”Lara Revealed” 10). The Dreamcast edition of The Last Revelation was an enhanced port of the PC version. Unfortunately, with such a quick turnaround time to port the game, the Dreamcast version failed to impress most critics. However, Tomb Raider fans were treated to what would become known as the premier version of the game. Broadcasting in 480p via VGA output, Lara Croft had returned to SEGA hardware, and she looked better than ever. Tomb Raider IV: The Last Revelation gave gamers an intimate look into Lara’s past. Though we had seen snippets of Lara’s home life in past games, The Last Revelation was the first game in the series devoted to framing Lara as a character. The game opened not in Lara’s estate, but in Cambodia, 1984. Here, we met a young Lara Croft on an expedition with Dr. Werner Von Croy. Serving as her teacher and mentor, Von Croy guided Lara though Ankor Wat. It was a stark departure from series’ tradition. 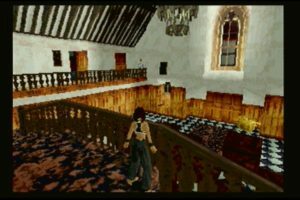 In the first three games, Lara provided instruction to the player, informing them how to perform various moves while within the safety of the Croft Manor. In The Last Revelation, no such acknowledgement to the player was made. Instead, Von Croy spoke to Lara, coaching her on traversal. This young Lara was still the spunky heroin fans had come to love. However, she was also inexperienced and vulnerable. For most of the opening stage, Lara was at the mercy of the doctor’s instruction, and sarcasm. By the level’s end, Lara and Von Croy had moved from a relationship of student and teacher to rival tomb raiders, setting the stage for an epic adventure. Other notable departures included in The Last Revelation were it ditching globe-trotting in favor of a tale grounded entirely in Egypt – a series first. Though limited to one region, the art direction was painstakingly detailed, inspiring a new look and feel in each area players visited. It also provided a sense of urgency to the chase between Von Croy and Lara. The Last Revelation also had continuity to its timeline. Players never left Lara’s side, emphasizing the endurance and urgency required of the tasks at hand. Lara’s return to SEGA hardware was celebrated via several new and improved graphical features. Seeing as the game had launched on the PlayStation and PC several months earlier, the Dreamcast port had undergone a bit of a facelift before launch. The visuals on the Dreamcast looked on-par, arguably even superior, to those on the PC. Console exclusive shadow effects made many areas look absolutely picturesque. Bump mapping also impressed long time series fans, especially when running in full 480p via the Dreamcast’s VGA display. These new effects, along with unlockable Dreamcast-themed promo art, made it a tempting purchase for fans. Lara was equipped with several new and notable abilities for her fourth adventure. Rope climbing/swinging was added. Lara also could swing around corners when hanging from a ledge, allowing for more complex level architecture. Combat still relied on auto-aim weapons, with movement being the main crux of surviving a firefight. However, certain weapons could be equipped with sights for first-person, precision shots. All of these new abilities were heavily integrated into the game’s platforming and puzzle challenges. However, the game was not without its problems. With the new take on design came new complexities. The Last Revelation is widely regarded as the hardest game in the series. Levels were less defined, often sprawling several huge, open areas. Key and lock puzzles sometimes required backtracking across multiple areas, all riddled with hidden passages and labarintheian floor plans. When inside of the actual tombs, line of sight decreased dramatically. Lara could illuminate areas via flares or torches. However, trying to navigate in such thick darkness quickly became frustrating. The Last Revelation may have been a welcome change to series’ staples, but it was also incredibly unforgiving. Tomb Raider IV was met with warm reception upon its PC and PlayStation release. Opinions had slightly soured when the Dreamcast port launched several months later. The game was praised for its more personal and involving storyline. It was also praised for retooling the status-quo level design into something completely new. Despite running on the same, aging, engine as the past three games, The Last Revelation managed to feel notably different from its predecessors – something that split fans. However, even with its new take on level and puzzle design, focus of story and upgraded visuals, Tomb Raider was starting to show its age. Fans who wanted more of the same were treated to a lengthy and challenging adventure. The average gamer looking to discover what Tomb Raider fever was all about would have probably been a bit underwhelmed. The Dreamcast port failed to provide SEGA’s next-generation hardware with a next-generation experience. As Drew Cosner wrote in his review for Official Dreamcast Magazine, “Sure, the environments themselves are new and not without charm and suspense, but you keep on doing the same things, over and over, no matter what the surroundings are—which is about as exciting as washing the same old laundry at a new laundromat”(“Tomb Raider: The Last Revelation” 101). It was a bitter sweet return, but Lara Croft had come home. Initially, Core’s plans for the console were short-sighted. They were keen to bring Fighting Force 2 and The Last Revelation to the Dreamcast, but their ambitions for SEGA’s hardware ended there (“Lara Revealed” 10). However, it wouldn’t be long before they changed their minds. Tomb Raider: Chronicles was released for the Dreamcast in late 2000. 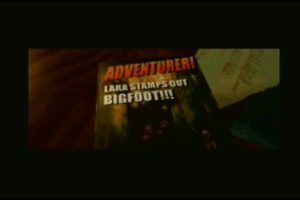 Up until the fourth Tomb Raider game, storylines had been told as one-off adventures; assumingly, but not outright shown to be, connected. 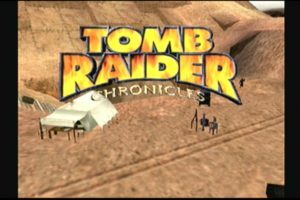 After the more personal narrative of The Last Revelation, Tomb Raider Chronicles was a sort of retelling and celebration of Lara’s life (spoiler alert: Lara may or may not have died in The Last Revelation). With her closest friends gathered together, Lara’s forgotten exploits are retold as short stories – four adventures spanning three to four levels each. It proved an interesting twist, bringing the gameplay back to the series’ standard level structure, as opposed to the more open design of the fourth entry. Lara Croft’s fifth adventure was once again met with mixed reception. Though praised by some fans, Chronicles felt more like an expansion pack than a full game. 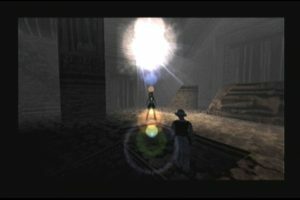 Chronicles began with a recount of Lara’s acquisition of the Philosopher’s Stone. Playing tag with the original game’s villains Pierre DuPont and Larson Conway, the three tomb raiders raced about Rome, competing to get the edge on one and other. Subsequent stories included Lara’s infiltration of a Russian submarine, breaking into her old mentor’s laboratory, and a set of levels featuring teenaged Lara. Chronicles included all of The Last Revelation’s new features. Lara could still round corners while climbing, use a laser pointer for precision shots and climb/swing from ropes. New to Chronicles was tightrope walking – though its implementation was (smartly) limited. There were also several stealth sections relegated to the second and fourth sections of the game. Stealth was something Core had flirted with in Tomb Raider III but never developed past basic line of sight mechanics. In Chronicles, stealth felt forced and awkward, not anywhere as smooth as its contemporaries of the time. Where Chronicles most notably differed from The Last Revelation was in its level design. Gone were the massive, interconnected, open areas. Back were self-contained levels. 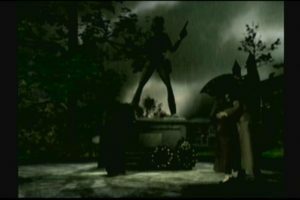 Curiously, vehicles were also absent – a trademark of the series since the second game. Chronicles was a story set around exploring Lara’s mysterious past. However, despite moving the overall narrative forward, it was a clear step back in terms of innovation. Some fans and critics applauded this move after being frustrated by the long, difficult grind that was The Last Revelation. Others felt the series had hit a wall, unable to progress in any meaningful way via the current game engine. No longer could slight graphical updates, new moves, or new weapons justify a new game. 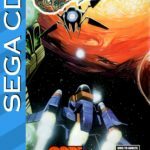 While the Dreamcast port of The Last Revelation was seen by many as the definitive version, Chronicles on Dreamcast sat somewhere between the PlayStation and PC versions. Once again, the game looked and ran smoother on the Dreamcast than PlayStation. Core also supported VGA output, making the game look near identical to the PC version. However, Dreamcast exclusive effects included in The Last Revelation, such as dynamic lighting, had been removed. 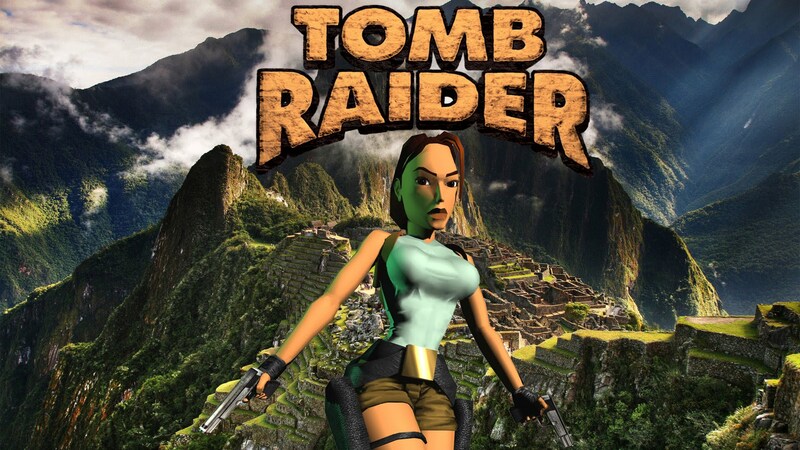 The PC version included the Tomb Raider Level Editor – software which allowed fans to build and share their own Tomb Raider levels/games. Not surprisingly, the level editor was not included with the Dreamcast or PlayStation versions. The Dreamcast port of Chronicles was functional, providing fans who owned SEGA hardware to stay up to date with the latest entry. However, that’s all Chronicles on the Dreamcast ended up being – a port. One could blame the slumping sales of the Dreamcast for the quick and dirty release. One could also blame the series’ fleeting appeal. The answer probably lied somewhere in between the two. As James Maineiro wrote, “It’s nice to see Lara on the Dreamcast again, but this game merely heaps another shovel of dirt over her coffin”(“Tomb Raider Chronicles” 62). Chronicles marked the death of Lara Croft on SEGA hardware. While PC gamers would continue to receive every major Tomb Raider title, console gamers would need to upgrade to the PlayStation 2 for the Sony console-exclusive, The Angel of Darkness. Though The Angel of Darkness was technically Core’s last Tomb Raider game, one could make the argument Lara Croft had been born on the Saturn and died on the Dreamcast. Core Design, after The Angel of Darkness, would lose the license they created before being dissolved entirely. What started as strong professional friendship between SEGA and Core ended in somewhat of a tragedy; the best days behind both houses. On this, the 20 year anniversary of the franchise, SEGA collectors may want to take a look back at the phenomenon of gaming’s first leading lady, appreciating how SEGA played an integral part in the series’ success. Alex Fly, Kaejaris. Core Design. About, 2014. Web. 12 July 2016. “An interview with Core Design: ng alphas.” Next Generation 22, 1996: 75-76. Print. Cosner, Drew. “Tomb Raider: The Last Revelation.” Official Dreamcast Magazine 6, 2000: 100-101. Print. The Cover Project. 2006. Web. 10 September 2016. Gh0stBlade. Unseen64. tomb raider, 2012. Web. 18 July 2016. “Lara Revealed.” Official Dreamcast Magazine 4, 2000: 10. Print. “Loving Lara Croft.” Retro Gamer 78, 2010: 25-31. Print. Maineiro, James. “Tomb Raider: Chronicles.” Official Dreamcast Magazine 12, 2001: 62. Print. Sega-16 Forums. Polygon rendering: Quads vs Triangles, 2010. Web. 18 July 2016. Sega Retro. Core Design, 2015. Web. 17 July 2016. Tomb Raider Forums. Sega Saturn and PS1 differences, 2015. Web. 15 July. 2016. Tomb Raider Forums. PSX Vs PC Vs DC Versions., 2010. Web. 17 July 2016. “Tomb Raider: ng alphas.” Next Generation 22, 1996: 71-73. Print.